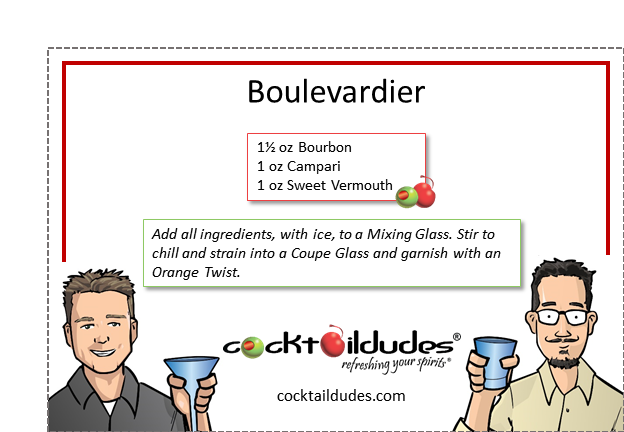 Add all ingredients, with ice, to a Mixing Glass. Stir to chill and strain into a Coupe Glass. This wonderful Classic was created at Harry’s bar in Paris, right on the heels of the Negroni – from which it was inspired. 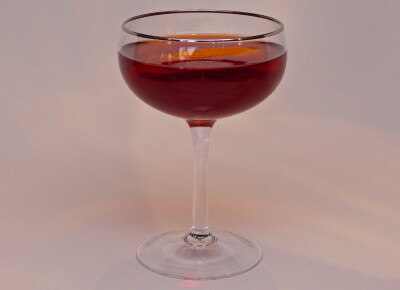 Named after an English-language sporting magazine published in Paris and catering to well-healed expatriates, this cocktail does best with a nice higher-proof bourbon. Rich and complex, with an inviting bitterness from the Campari, this cocktail is an under-appreciated gem. Once it’s chilled and in your glass, allow it sit for a minute before sipping. Learn about the history of this cocktail in our Cocktail College video and check out our variations on this classic, like the Bacon Boulevardier, Lilac Boulevardier, and Barrel-Aged Boulevardier. Cheers!